Ginger Watts Brown completed a Bachelor of Science in Animal Science and a Doctor of Veterinary Medicine at the University of Illinois in Urbana. After graduating in 2004, she practiced small animal general medicine in New Jersey for 11 years. She began her career with the ASPCA Animal Poison Control in 2015 to pursue her interest in toxicology. In addition to providing phone consultations to veterinary professionals, Dr. Watts Brown is part of the management team at the APCC. She also enjoys writing podcasts and contributing to educational materials for staff and pet owner education. Welcome to Practical Toxicology, brought to you in partnership between Today’s Veterinary Practice and the ASPCA Animal Poison Control Center (APCC) (aspcapro.org/poison). This column provides practical clinical information about diagnosing and treating pets that have been exposed to potentially harmful substances. The list of substances that can cause hypoglycemia in dogs varies widely, including the sago palm tree. Five minutes before your clinic closes, a dog arrives laterally recumbent, unresponsive, and profoundly hypoglycemic. The differential diagnoses that run through your mind include insulinoma, hypoadrenocorticism, liver disease, and sepsis, among many others. When reviewing the DAMNITV differential diagnosis scheme (Degenerative, Anomalous, Metabolic, Neoplastic or Nutritional, Inflammatory, Traumatic or Toxic, Vascular), you focus on the “T” (for toxic) and think of numerous substances that can cause hypoglycemia. However, most of them may be encountered only rarely or occur only theoretically. This article is intended to help you rule out the rare causes and focus on those that should be on your short list: the top 10. After you have stabilized the patient, discussing these substances with the client may help pinpoint the cause of hypoglycemia. We start with the least likely and work our way to the most likely. Description: Baclofen is a centrally acting skeletal muscle relaxant. Clinical signs: Ingestion of baclofen may cause vomiting, hypersalivation, agitation, ataxia, vocalization, mydriasis, depression, recumbency, hypothermia, hypotension or hypertension, tremors, seizures, coma, and respiratory arrest. Mechanism for hypoglycemia: Direct and indirect. The exact mechanism is unknown, but hypoglycemia may result from suppression of glucagon release.3 In dogs with severe tremor or seizure activity, increased use of glucose could lead to hypoglycemia. Description: Metaldehyde is a common active ingredient in molluscicides. Margin of safety: Narrow. Any exposure is cause for concern. Mechanism for hypoglycemia: Direct and indirect. Severe muscle activity can lead to hypoglycemia from increased metabolic use of glucose. Liver failure can also cause hypoglycemia. Treatment Tip Metaldehyde exposure is anecdotally described as a “shake and bake” toxic syndrome, and its treatment typically requires methocarbamol and benzodiazepines to control tremors. Hyperthermia, rhabdomyolysis, acidosis, and disseminated intravascular coagulation can result. 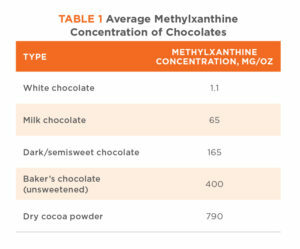 Description: Methylxanthines include caffeine, theobromine, and theophylline. This broad category encompasses chocolate, diet pills, caffeinated beverages, bronchodilators (e.g., aminophylline, theophylline), and more. Clinical signs: Methylxanthine toxicosis can cause panting, pacing, restlessness, tachycardia, hypertension, hyperthermia, arrhythmias, tremors, and seizures. Vomiting, diarrhea, polyuria, and polydipsia are also common. Margin of safety: Variable. 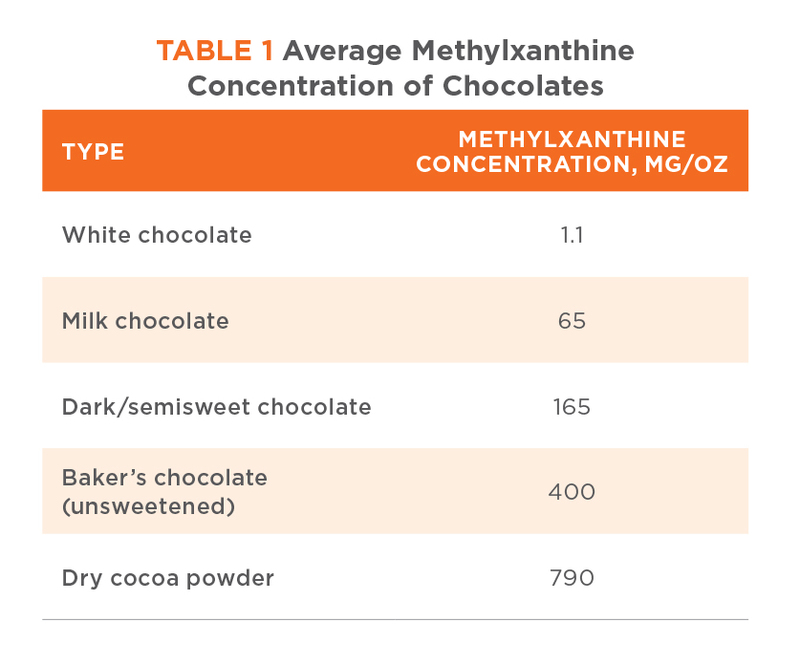 The margin of safety for chocolate is wide, depending on the type of chocolate (TABLE 1); the margin of safety for medications such as theophylline is narrower. Mechanism for hypoglycemia: Direct and indirect. Methylxanthines may cause increased insulin release and insulin sensitivity.6 In severely affected dogs, hypoglycemia may result from increased metabolic use of glucose. Treatment Tip Dogs that have ingested large amounts of chocolate are often hemoconcentrated. The osmotically active environment puts them at high risk for hypernatremia or other electrolyte imbalances. For this reason, activated charcoal should be used with caution. It is not needed in all dogs that have ingested chocolate. Description: Sago palms are decorative plants commonly found outdoors in warm climates, but they can be kept indoors in any region. They are also known as cycads. The genera of concern are Microzamia, Zamia, and Cycas. Margin of safety: Narrow. All parts of the plant are toxic, but the most toxic parts are the seeds. Any exposure is a concern. Treatment Tip The key action to take is aggressive decontamination. For dogs brought to you early, while still asymptomatic, the best course of action is inducing emesis, followed by giving multiple doses of activated charcoal. Cholestyramine may also be used in some cases to decrease enterohepatic recirculation. Cholestyramine is a powdered bile acid sequestrant that is widely available at human pharmacies. It binds bile and, by default, the toxins already bound to the bile. Cholestyramine should be given with food and also aids in elimination of cholecalciferol, amatoxin, and some nonsteroidal anti-inflammatory drugs (NSAIDs) (see numbers 3 and 4 below). Margin of safety: Narrow. Any exposure has the potential to cause clinical signs. Mechanism for hypoglycemia: Direct and indirect. Impairment of glycogenolysis and gluconeogenesis11 can lead to hypoglycemia. Adrenal gland injury and low levels of cortisol may also play a role.12 Animals experiencing severe seizure activity may become hypoglycemic because of increased metabolic use of glucose. As soon as possible, administer 1 tablespoon of aluminum hydroxide or magnesium hydroxide per 20 pounds of body weight. Doing so will increase the pH of the stomach and decrease the amount of phosphine gas released. If possible, avoid inducing emesis with hydrogen peroxide; ideally, emesis should be induced with apomorphine while the animal is outdoors. Phosphine gas is toxic to all living creatures. Clients should drive to the clinic with the windows down, in case the dog vomits in the car. Any questions regarding humans (clients and/or veterinary hospital employees) who may have been exposed to phosphine gas should be immediately directed to Human Poison Control (1-800-222-1222). Description: Sympathomimetics directly or indirectly cause an increase in catecholamines at the neuronal junction.13 Examples of sympathomimetics include amphetamines, prescription medications for attention-deficit/hyperactivity disorder or attention-deficit disorder, phenylpropanolamine, decongestants (e.g., pseudoephedrine), and illicit drugs (e.g., cocaine, crystal methamphetamine, and 3, 4-methylenedioxymethamphetamine [MDMA, ecstasy]). Clinical signs: Sympathomimetics can cause agitation, aggression, ataxia, tachycardia or bradycardia, hypertension, hyperthermia, vocalization, mydriasis, tremors, and seizures. Margin of safety: Variable, depending on the substance. Treatment Tip Treatment with acepromazine is very effective because of its α-adrenergic and dopaminergic-blocking effects.14 Cyproheptadine may be used in conjunction with acepromazine if signs of serotonin syndrome (e.g., mydriasis, vocalization, hyperthermia, hyperesthesia, agitation, tachycardia, or fasciculation) are seen. Description: Therapeutic doses of veterinary use approved NSAIDs (e.g., carprofen or deracoxib) or low doses of human use–labeled NSAIDs (e.g., ibuprofen or celecoxib) are not expected to cause hypoglycemia in dogs. However, it is possible to see hypoglycemia with large overdoses of NSAIDs. Ibuprofen accounts for almost half of the documented cases of NSAID-associated hypoglycemia at the Animal Poison Control Center.2 These cases may be overrepresented because of the popularity of ibuprofen. Clinical signs: Overdoses of NSAIDs can lead to ulceration of the gastrointestinal tract and renal damage. Clinical signs may include vomiting, diarrhea, depression, melena, hematemesis, polydipsia, and polyuria. Ingestion of more than 350 mg/kg of ibuprofen can lead to neurologic signs, such as ataxia, tremors, seizures, and coma. Mechanism for hypoglycemia: Direct and indirect. NSAIDs are thought to cause hypoglycemia because of their effect on pancreatic β cells, causing increased insulin secretion.16 Increased metabolic use of glucose (seizure activity) can lead to hypoglycemia. Phase 2 is a latent phase and may last as long as 24 hours. Margin of safety: Very narrow. Any exposure is a concern. Mechanism for hypoglycemia: Direct and indirect. Severe hypoglycemia can occur, presumably resulting from the breakdown of glycogen in the liver.19 In addition, insulin release may result from a cytotoxic effect on β cells.20 Hypoglycemia can also result from liver failure. Treatment Tip Early and aggressive decontamination is imperative (see Treatment Tip for Sago palm). Ingestion of xylitol can cause vomiting, depression, diarrhea, hypoglycemia, increased liver enzymes, ataxia, tremors, and seizures. Description: This heading encompasses all oral antihyperglycemic medications and insulin injections. The most common oral antihyperglycemic medications for which the Animal Poison Control Center receives calls are the sulfonylureas (e.g., glipizide and glyburide).2 The hypoglycemia caused by insulin injections is dose-dependent. Clinical signs: Aside from hypoglycemia, the clinical signs vary according to the agent. Margin of safety: Variable. The margin of safety for sulfonylureas and insulin injections is narrow. For others, such as metformin or acarbose, the margin is much wider. Oral exposure to insulin does not cause hypoglycemia. The insulin is digested in the stomach and is inactivated. Description: This sugar alcohol is used as a sweetening agent in many foods, candies, mints, chewing gums, and supplements. It is also used as a cooling agent in nasal sprays, diapers, baby wipes, sunscreen, toothpaste, and mouthwashes.21 Although there are many other sugar alcohols, xylitol is the only sugar alcohol that poses a concern for animal safety. Margin of safety: Narrow. Ingestion of 100 mg/kg or more can cause hypoglycemia. Treatment Tip Xylitol is poorly absorbed by activated charcoal,24 and charcoal use for xylitol toxicity is not indicated. This list of toxicologic causes of hypoglycemia in the dog can be a useful tool for the small animal veterinarian. Reviewing these substances with the client may prove to be a practical way to determine the cause of hypoglycemia. Although this list of hypoglycemic substances is not comprehensive, it covers the 10 most common toxicologic causes of hypoglycemia in the dog as reported to the ASPCA Animal Poison Control Center. More information can be found by calling the ASPCA Animal Poison Control Center at 1-888-426-4435 and visiting the ASPCApro website (aspcapro.org) for helpful printouts, articles, and newsletters. Plumb DC. Plumb’s Veterinary Drug Handbook. 8th ed. Stockholm, Sweden: PharmaVet, Inc.; 2015:106-107. American Society for the Prevention of Cruelty to Animals, Animal Poison Control, Urbana, IL. Antox Database. Unpublished data 2001-2016. Li C, Liu C, Nissim I, et al. Regulation of glucagon secretion in normal and diabetic human islets by gammahydroxybutyrate and glycine. J Biol Chem 2013;288:3938-3951. Wismer T. Baclofen overdose in dogs. Vet Med 2004;May:406-410. Richardson JA, Welch SL, Gwaltney-Brant SM, et al. Metaldehyde toxicosis in dogs. Compendium 2003;25:376-380. Mubarak AS, Yiquen T. Hypoglycemic property of cocoa products: potential underlying mechanisms. Int Curr Pharm J 2015;4:362-366. Lee JA. Sago palm toxicosis in dogs. Clinician’s Brief 2017;March:51-54. Fatourechi L, DelGiudice LA, Sookhoo N. Sago palm toxicosis in dogs. Compendium 2013;April:E1-E7. Ferguson D, Crowe M, McLaughlin L, Gaschen F. Survival and prognostic indicators for cycad intoxication in dogs. J Vet Intern Med 2011;25:831-837. Gray SL, Lee JA, Hovda LR, Brutlag AG, et al. Potential zinc phosphide rodenticide toxicosis in dogs: 362 cases (2004 to 2009). JAVMA 2011;239:646-651. Frangides CY, Pneumatikos IA. Persistent severe hypoglycemia in acute zinc phosphide poisoning. Intens Care Med 2002;28:223. Proudfoot AT. Aluminum and zinc phosphide poisoning. Clin Toxicol 2009;47:89-100. IBM Micromedex® POISINDEX®: POISINDEX® System (electronic version). Truven Health Analytics. micromedexsolutions.com. Accessed July 5, 2018. Catravas JD, Waters IW, Hickenbottom JP, Davis WM. The effects of haloperidol, chlorpromazine and propranolol on the acute amphetamine poisoning in the conscious dog. J Pharmacol Exp Therap 1977;202:230-243. Soto-Montenegro ML, Vaquero J.J, Arango C, et al. Effects of MDMA on blood glucose levels and brain glucose metabolism. Eur J Nucl Med Mol Imaging 2007;34:916-925. Li J, Zhang N, Ye B, et al. Non-steroidal anti-inflammatory drugs increase insulin release from beta cells by inhibiting ATP-sensitive potassium channels. Br J Pharmacol 2007;151:483-493. Easley RB, Altemeier WA. Central nervous system manifestations of an ibuprofen overdose reversed by naloxone. Pediatr Emerg Care 2000;16:39-41. Cope RB. Toxicology brief: mushroom poisoning in dogs. Vet Med 2007;February:95-100. Puschner B, Rose HH, Filigenzi MS. Diagnosis of amanita toxicosis in a dog with acute hepatic necrosis. J Vet Diagn Invest 2007;19:312-317. DeCarlo E, Milanesi A, Martini C, et al. 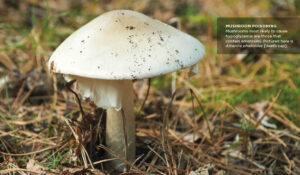 Effects of Amanita phalloidestoxins on insulin release: in vivo and in vitro studies (abstract). Arch Toxicol 2003;77:441-445. 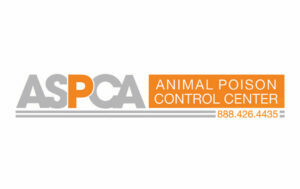 ASPCA National Animal Posion Control Center. The many hiding places of xylitol. aspcapro.org/sites/default/files/xylitol%20poster.pdf. Accessed June 2018. Todd J, Powell L. Xylitol intoxication associated with fulminant hepatic failure in a dog. J Vet Emerg Crit Care 2007;3:286-289. Dunayer E. New findings on the effects of xylitol ingestion in dogs. Vet Med 2006;December:791-796. Cope RB. A screening study of xylitol binding in vitro to activated charcoal. Vet Hum Toxicol 2004;46:336-337.